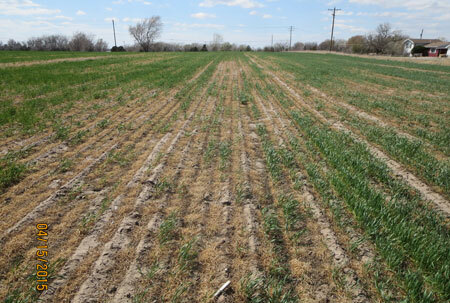 Many Nebraska winter wheat fields suffered some degree of damage due to winter injury or winterkill. Following are Extension crop reports followed by information from Robert Klein, Extension crops specialist for western Nebraska, on further management of these fields. Robert Klein, extension specialist for dryland crops in western Nebraska: In southwest Nebraska, we have winter wheat fields rated excellent, good, fair, poor, very poor, and disaster. Crop insurance representatives have been assessing fields and have released fields or portions of fields. Many fields have areas of winter injury, making a good weed management plan even more important. With reduced competition from the winter wheat, weeds will be more competitive. John Thomas, extension educator in northwest Nebraska: In our area around Alliance and in Box Butte County wheat condition is slipping some with the continued dryness. In visiting with Farmers Co-op in Hemingford, wheat condition was estimated at 30% good, 40% fair, 20% poor and 10% very poor. There is a chance for moisture later this week and so we are hoping we actually get enough to do us some good. 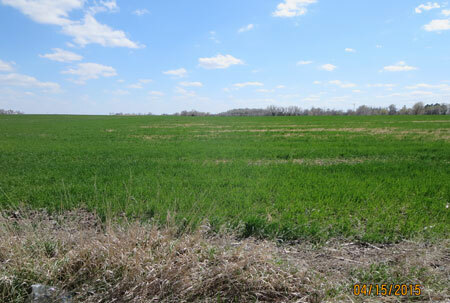 Jennifer Rees, extension educator in Clay County: Winter wheat in south central Nebraska has come a long way in the past week to 10 days. What might have been written off before, in many cases is being kept due to new growth and lack of rainfall in non-irrigated environments. Spotty rainfall did help some conditions while others are still waiting for the rain. Fall tillage, loose seedbeds, north/northwest-facing slopes, and areas without wind protection were damaged the most from winterkill. Due to the dry conditions, many are choosing to leave their wheat in hopes of obtaining some crop. Some are planting oats or soybeans into bare areas of fields and some just plan to apply another herbicide with residual to help with weed control if they’re not planning on a cover crop following wheat harvest. Paul Hay, extension educator in Gage County: We have had and do have good moisture in southeast Nebraska. For some reason, known only to the wheat, some fields planted on soybean stubble are thin and will likely become corn or soybean fields. This appears to be about 10% of the fields. Robert Klein, Extension specialist for dryland crops in western Nebraska: Crops or forage possibilities for winter wheat fields or areas of fields lost to the harsh winter conditions include grain sorghum, millet, forages, or even winter wheat. Winter wheat planted now won’t produce grain because it won’t vernalize, but it will produce some crop residue, reduce weeds, and protect the soil from wind and winter soil erosion. In south central and eastern Nebraska, soybeans would also be a viable replant option. Also, soil water intake rates are reduced when crop residue is reduced. Research has shown that good crop residue cover reduces weed populations. Before planting these areas check for plant-back restrictions on any herbicides applied to the winter wheat. If you plan to fallow the land in 2016 and seed winter wheat in the fall, consider crops or forages that will leave crop residues to protect the soil during the fallow period. These residues will also catch snow next winter. Before making any decisions, always contact your Crop Insurance Agency and Farm Service Agency.